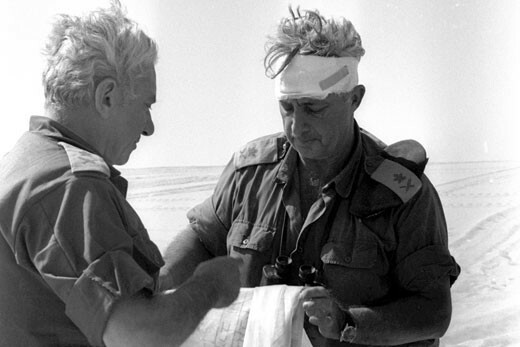 Former Chief of Staff Chaim Bar-Lev consults with a bandaged Major General Ariel Sharon during the 1973 Yom Kippur War. GPO / Flash 90. Few individuals have had more impact on the history of the state of Israel than its former Prime Minister Ariel Sharon, who died on 11 January 2014 after being in a coma since 2006. To assess his legacy, Fathom deputy editor Toby Greene interviewed David Landau, former editor of Haaretz and the author of a major new biography of Ariel Sharon entitled Arik, published this month by Knopf. 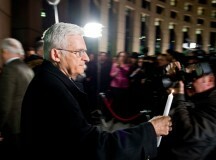 The interview took place on 5 January 2014. Toby Greene: Sharon has a huge legacy, both as a military commander and as a politician, how would you sum up his contribution to the history of Israel? David Landau: This man left two legacies; first as a military commander and second as a politician. Let us deal with the military legacy first, because it is easier; although a matter of controversy. By no means do all of the Israeli military establishment accept that Sharon was crucial in turning around the Yom Kippur War in 1973. Nevertheless, I spoke to a lot of people, from generals to privates, and I found myself fully persuaded that his role in crossing the Suez Canal was probably crucial and that without him they may not have succeeded. His toughness and his determination was what led them. Looking at cabinet protocols from that period, as far as Golda Meir was concerned – she was Prime Minister and national leader at the time – her assumption throughout was that the man who would command the crossing of the Suez Canal was Ariel Sharon. This was despite the political rivalry that already existed between them. TG: Sharon brought this extraordinary boldness and courage to his leadership. He believed in his ability and made decisions that often went against what his commanders wanted him to do. He thought he knew what was best. Where did that come from? DL: In part it came from Moshe Dayan, with whom Sharon had a complex relationship for a very long time. 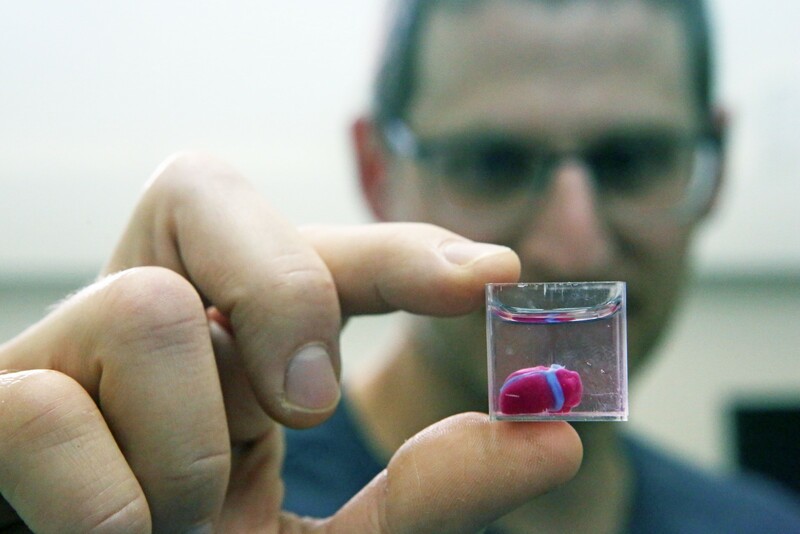 If there was one person in Israel that he admired it was Dayan. And for whatever reason, Dayan was unrelenting in the matter of Ariel Sharon. Some of the generals wanted to have Sharon fired in the middle of the war – but Dayan would not hear of it; despite the ‘wars of the generals’ as we call it, Dayan decided that Sharon was the distinguished, courageous and imaginative general that he needed down there. 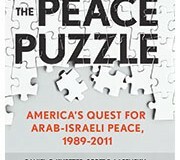 The first person I went to interview when writing a book about Sharon was Ehud Barak. 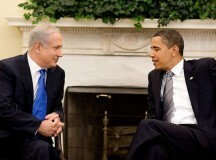 Ostensibly, they were rivals; at the time, Barak was Prime Minister and Sharon was leader of the opposition. Barak could not have been more generous; he was almost adulatory towards Sharon as a military commander. Barak told me that he’d looked at a lot of the radio traffic from the Yom Kippur War and without any doubt Sharon was the greatest battlefield general that Israel ever had. Sometimes, generals save their country and change its history, and that act becomes part of the history of the country. I believe that Sharon saved us, in a way, from an Egyptian victory in 1973. I don’t know what an Egyptian victory would have done to us, I’m not saying they would have conquered Tel-Aviv, but we would have looked very different. When you talk about Sharon’s political legacy, that’s much more complicated. I want to suggest that instead of the word ‘legacy’, we use the word ‘precedent’. In other words, the disengagement from Gaza [in 2005] has established in Israeli history an important precedent: that power is wielded in this country, as in every democratic country, by the government. The flipside of that is that movements, particularly extra-parliamentary movements, have no right to challenge that. If you were in Israel at the time, the atmosphere before the disengagement [from Gaza in 2005] was one of extreme apprehension by many people who took the threats of the settler movement seriously. The settlers often used the phrase ‘milhemet ahim’, civil war. And there was a genuine fear that the conflict about the disengagement could deteriorate into civil war. I went round to see him and said to him, ‘If things go wrong will you go down to the Gaza Strip and personally command all the soldiers that you’ve deployed there?’ and his answer was ‘You worry too much’. Partly, this was his fault. He had encouraged this [settlement] movement, when he said ‘grab every hilltop’, when Barak failed to get an agreement [with Yasser Arafat in 2000]. Nevertheless, as prime minister, we used an expression about Sharon which people thought was so apposite. It was taken from a poem, ‘ma sh’roim m’po, lo roim m’sham’ – what we see from here, we don’t see from there. I think that towards the end of his time as Prime Minister, he saw that he had difficulty running the country, because of Gush Emunim, the settler movement. He was very aware that he was taking it on. 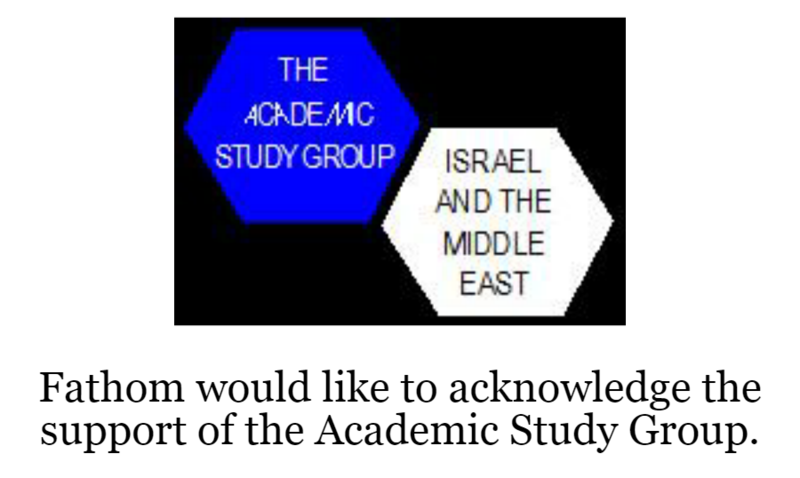 It makes the contradiction even sharper, in as much as Sharon was responsible for the political growth and influence of Gush Emunim. But nevertheless, as Prime Minister he realised that this was constitutionally impossible; you couldn’t run a country like this. TG: So why did he make that dramatic about turn in 2003-2004, moving from being one of the foremost advocates of settlement construction throughout the West Bank and the Gaza Strip to forcibly removing settlements? DL: Well, as Prime Minister, he put his mind to the basic problem of the Middle East conflict, and he came to the conclusion which so many intelligent people have come to before him. Until that time, when he wasn’t Prime Minister, he wasn’t required to think about changing his old-fashioned, doctrinal, dogmatic positions. But as Prime Minister, carrying this huge burden, he thought about it differently. He could not gamble with the fate and future of the country. He saw – as we saw in the peace camp – the demography and the geography. At that time, the [then Attorney General] Eli Rubinstein suggested to him that maybe instead of saying ‘occupation’ he could use another term; but Sharon insisted on sticking to it. People are loath to take on something as straightforward and seemingly so naïve as the idea that he changed his mind because he could not leave the situation as it was. But he often said that if we leave the situation as it is, we will lose our friends, and we may lose America. Throughout his time as Prime Ministership he said that the relationship with America was the most important element of his politics. TG: There are very many, very controversial elements of Sharon’s life and career, not least the invasion of Lebanon in 1982 and particularly the massacres carried out by Phalange militiamen allied to Israel in the Palestinian refugee camps in Sabra and Shatilla. Do you think that he had regrets? DL: He said at the time that he regretted Qibya [a reprisal raid into Jordan in response to attacks on Israel from Palestinian Fedayeen fighters in 1953, in which 69 people were killed, including a high proportion of civilians]. He didn’t intend for those people to die and he said, ‘we tried to check that the houses were empty at the time’. He said that he was shocked and stunned to hear on Jordanian radio that there were so many casualties. That was definitely an example of what he, at any rate, represented as regret. Sabra and Shatilla of course he regretted because it nearly knocked him out of politics forever, and he felt it wasn’t really his fault. TG: What do you think that he would have done as Prime Minister, had he not been incapacitated in 2006? TG: In the pantheon of Israeli leaders, how important was Sharon? DL: He built the settlements which have dogged us ever since. He didn’t conceive of them; Menachem Begin did that. He built them on behalf of Menachem Begin; don’t let’s ascribe to him the dreams and the strategy. But he did what Begin and afterwards Yitzkak Shamir wanted him to do. I don’t accept that he imposed himself on the nation; there were two Prime Ministers under whom he served. But then in 2005, with the disengagement policy, he made it impossible for a lot of die-hard Likud people to live with him. So then he said ‘I can’t govern like this, with a party not really behind me’, so he seceded from the Likud and formed Kadima. He was important because he deconstructed the Likud and the right-religious coalition that he had constructed. 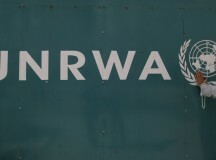 UNRWA: an obstacle to peace?